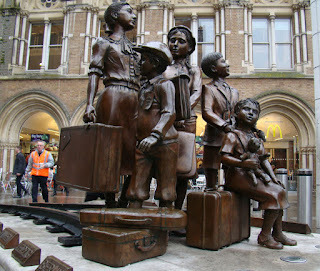 There is a route from mid-Kent to West Wales that takes in Liverpool Street station and Stonebridge Park. While not the most direct, it affords two sightseeing opportunities. 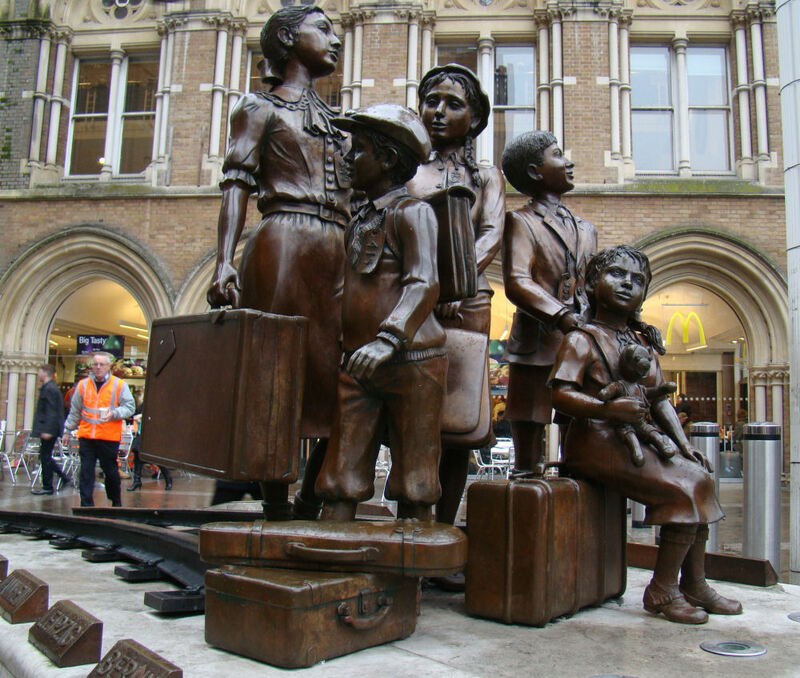 The Kindertransport memorial at Liverpool Street is only 7 years old: it commemorates the welcoming into Britain of large numbers of Jewish refugees - predominantly children - very shortly before WW2 began. A slick operation saw some thousands received who would very probably otherwise have perished. 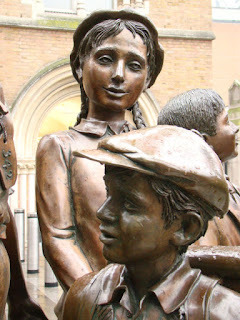 In truth, the sculpture of some children with their few belongings I did not find very striking, but there's no denying the strength of the sentiment. As Andrea Hammel noted, "How would it be if 10000 refugee children turned up in the UK today? What would their welcome be?". The Daily Mail would surely have a view. 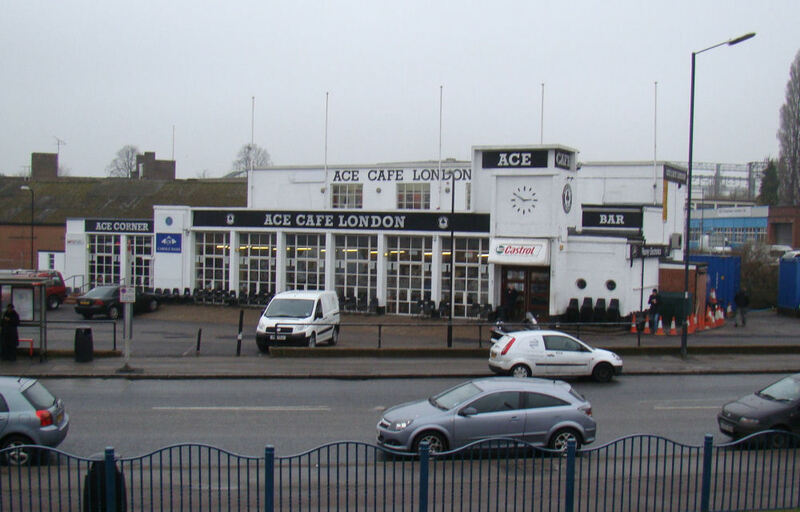 2013 marks the 75th anniversary of the Ace Cafe beside the North Circular at Stonebridge Park: it's famous for being, still, a bikers'/drivers' caff in just the place where such a thing is needed. 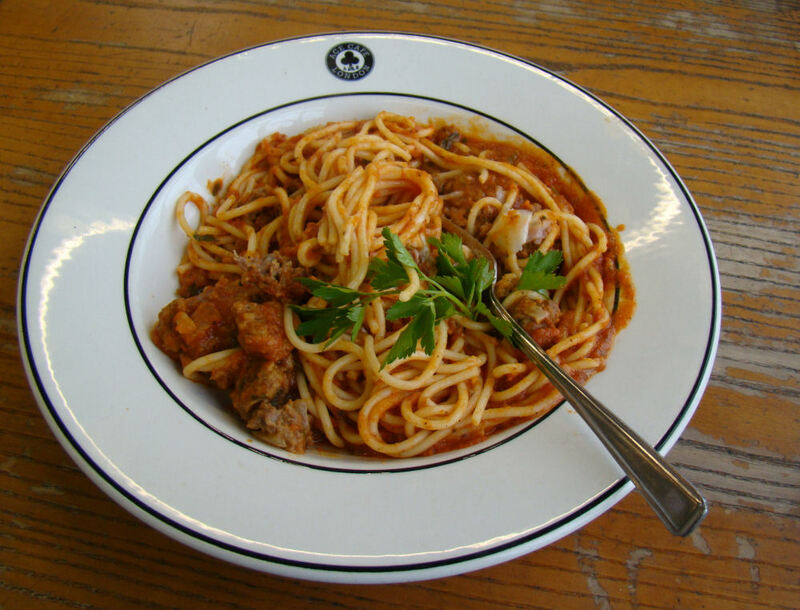 Inside, the experience is of a place that is a monument to itself rather than a cafe, but it's still fun. It's deplorably tidy and clean, with far too many notices promoting Safety (and a few promoting Health). Holding a train ticket from Ashford to Aberystwyth, I had to do some talking to be allowed to alight at the Stonebridge rail station, but it was well worth it. You get a cracking view of the N Circ, and the pointless Wembley Stadium. 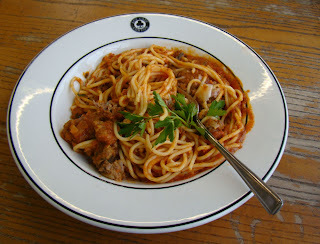 If I'd really been in the groove, I'd have had bacon and eggs &c &c, but actually settled for a pint of Beck's Vier and meatballs in spaghetti (on logo'ed china).